While most local fest features food, these upcoming fall festivals take it to the next level. New Orleanians love a good festival. Whether you live in the city or are just visiting, you can almost guarantee one on any given weekend. Now the home of approximately 133 such events throughout the year, certain sub-types of festivals have emerged: most notably, and not surprisingly — food-centered festivals. While any local fest features food, these upcoming fall festivals really cook up a treat. Burger Fest is a new festival produced by People United for Armstrong Park. Friday evening is a ticketed event headlined by Stephanie Mills featuring Deniece Williams and Stephanie Jordan. Saturday, however, is free and open to the public. Burgers on the menu include Chef Johnson’s Lobster Cheese Burger, Chef Scott’s Creole BBQ’s Ghetto Burger, and Creole Sneaux’s crawfish stuffed burger. Music by Cyrill Neville, Los Hombres Calientes, and Caesar Brothers Funkbox feat. Big Chief Juan Pardo round out the festival. The Fried Chicken Festival (FCF) presented by Raising Cane’s is a free fest that brings food, music, family and fun together in celebration of – fried chicken. The festival features the Fried Chicken Tenders Eating Contest and the Best Fried Chicken Contest. Hosted along the Mississippi River, FCF includes two music stages, the Moet Chicken and Champagne VIP Experience, the Sucre Sweet Spot, the GoNOLA Misting Lounge, a celebrity cooking demo stage, and more festivities. This year, the ONE LOVE wall is back for festival goers to share messages of love and encouragement and of course – what they love about fried chicken. Get yourself ready for some of the best fried chicken around. Across the Mississippi River from New Orleans lies Gretna, a city whose quaint historic center hosts the Gretna Heritage Festival each year. 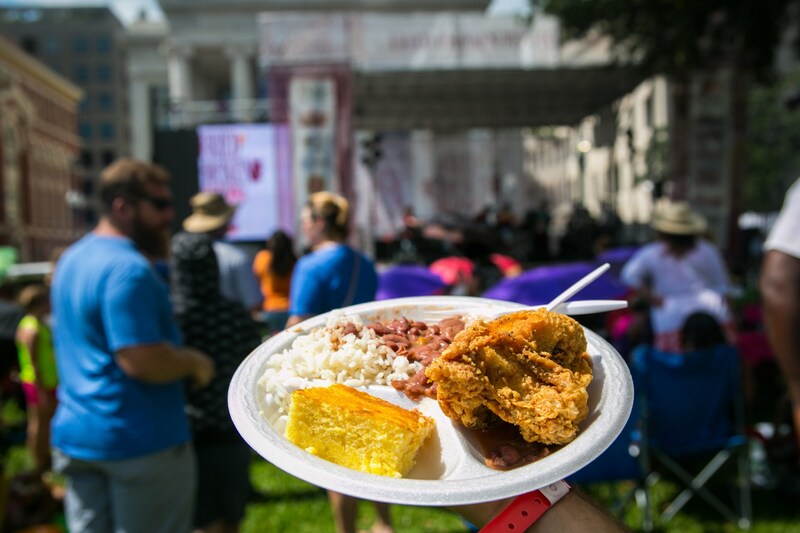 Celebrating its 22nd anniversary this year, the fest offers a wide array of local food choices for festival-goers including BBQ shrimp, crab cakes, boudin, meat pies, oysters, fried Snickers, and pralines. Food trucks also join in for the fun, including Crescent City Eats, Dirty Dishes, and Crêpes à la Cart. The real meat of this festival, though, is the music. This year’s headliners include KISS and Huey Lewis and the News. Marc Broussard, Flow Tribe, and G. Love & Special Sauce also take the stage. Carnaval Latino celebrates the many cultures of New Orleans’ diverse and growing Latino population. 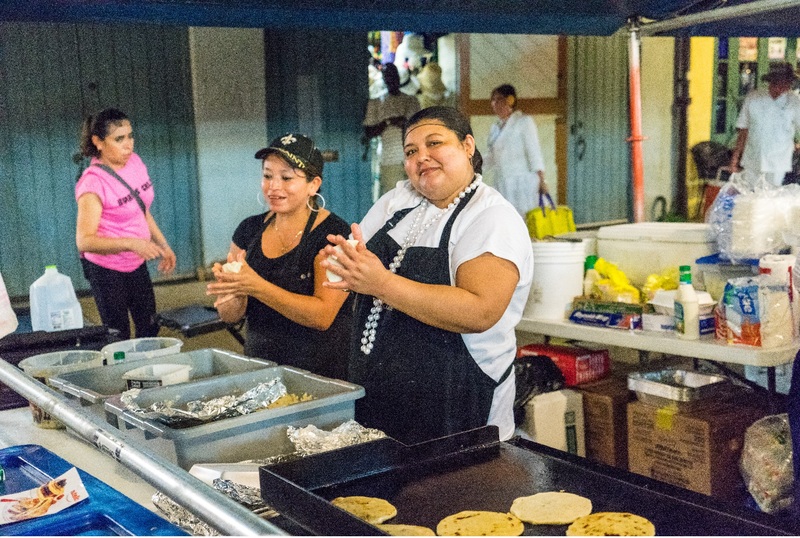 While not purely a food festival, a number of food vendors will be on hand selling favorite Latin American dishes like tacos, chicharrones, and baleadas. In addition, a parade— the Desfile de las Américas— will feature almost 20 floats with music and throws, each representing a single country. A variety of Latin bands take the stage for the evening concert at the Sugar Mill. Artesania is also available for purchase. 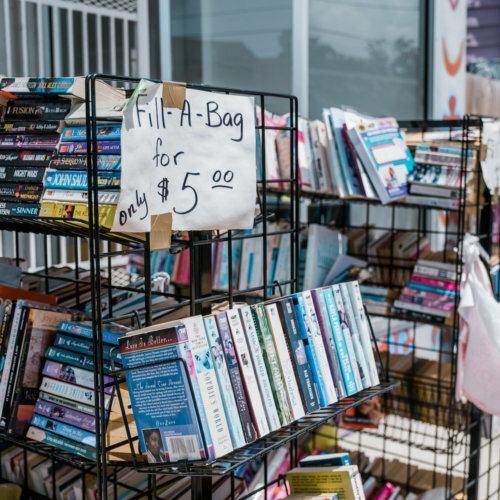 Gentilly Fest, a fundraising festival presented by Capital One (along with more than a dozen other sponsors), helps support the Gentilly neighborhood. Instead of highlighting a specific food, Gentilly Fest food vendors will be selling a huge variety of local cuisine: crawfish bread, soft-shell crab po-boys, fried catfish, crawfish pie, stuffed bell peppers, hot tamales, crawfish nachos, pralines, and more. Local crafts will also be available for purchase. Leo Nocenteli of the Funky Meters, Kermit Ruffins, and James Andrews headline the musical acts. 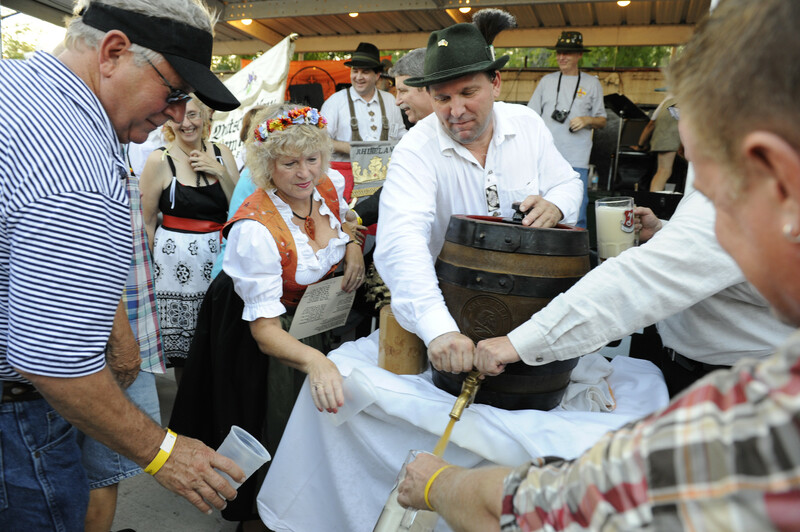 Oktoberfest, presented by the Deutsches Haus, is a local fall favorite that celebrates German culture and heritage. The festival returns to New Orleans after spending several years in Kenner’s Rivertown awaiting completion of the new Deutsches Haus. A wide variety of German food will be on sale, including Schnitzel, Bratwurst, Knackwurst, Sauerbraten, pretzels, desserts, and Bavarian nuts. German beer is also on sale, including the Deutsches Haus’ own Oktoberfest Bier. Musical acts may include The Bräts, Prost, and the Bayou Bavarians. Other events, including a Dachshund Dash, the Chicken Dance, and Masskrugstemmen– a beer stein holding contest– occur throughout. A historical exhibit and a gift shop are open to festival goers too. Come as you are, or show up in your lederhosen. Beignet Fest, marking its second anniversary on Oct. 7, gives the beignet its moment to shine. Food vendors, including Cafe Beignet, Ruby Slipper, Loretta’s Authentic Pralines, Howlin’ Wolf Den, and Girls Gone Vegan, will be selling seafood beignets, cheese beignets, and of course, sweet beignets. In addition, there will be contests for best savory beignet, best sweet beignet, and most innovative beignet. Musicians include Brass-a-holics, Eric Lindell, and the Imagination Movers, for kids. 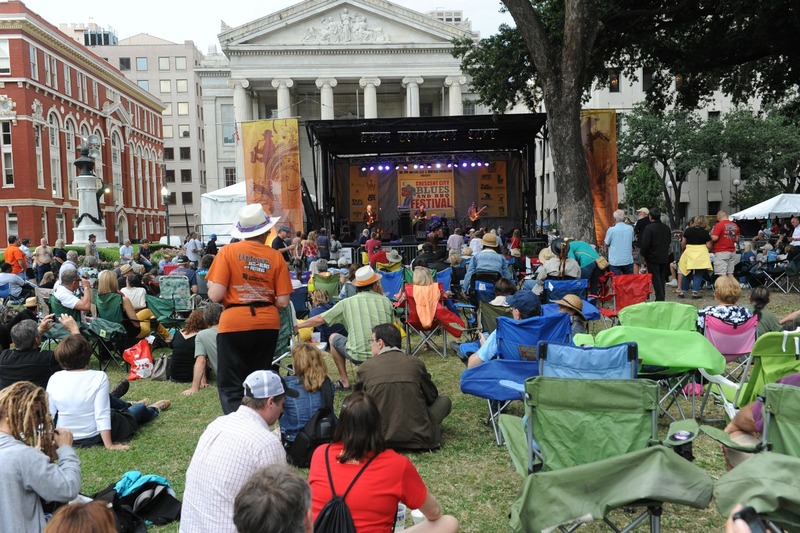 The Crescent City Blues & BBQ Festival, now in its 12th year, takes over Lafayette Square for the Oct. 13-15 weekend. Numerous food vendors feature local and regional barbecue cuisines (with a renewed emphasis on the local), and options are available for vegans and vegetarians as well. Top-notch Louisiana musicians— like Deacon John’s Jump Blues, Walter “Wolfman” Washington & The Roadmasters, New Soul Finders, featuring singer Marilyn Barbarin, and Little Freddie King— are also scheduled to take the stage (of which there are two). 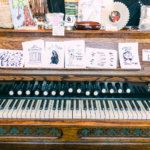 An arts market rounds out the festival with a couple dozen artists selling their wares. Bridge City, just outside of New Orleans, bills itself as the “Gumbo Capital of the World,” and its annual Bridge City Gumbo Festival boasts more than 2,000 gallons of gumbo. Other Louisiana favorites like jambalaya and red beans and rice will also be available. The festival also features a gumbo cooking contest, artisan crafts for sale, and the reigning Gumbo King and Queen. No festival is complete without live, local music. 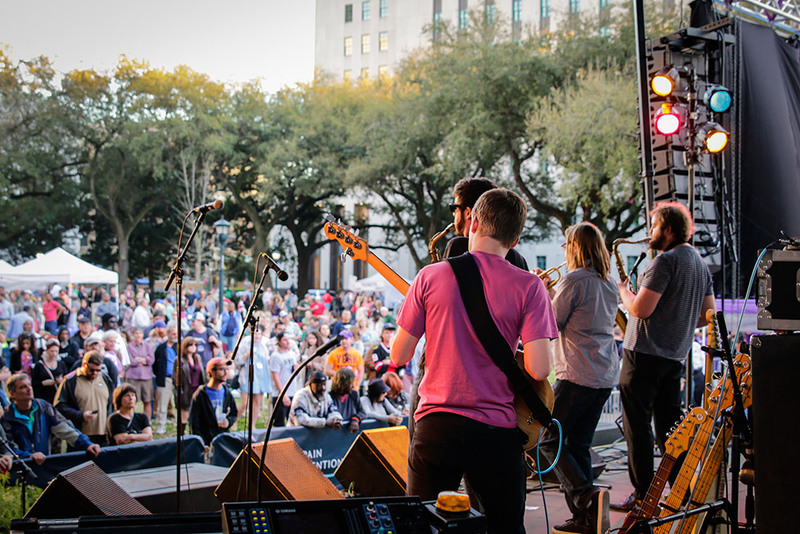 Gumbo Fest will feature the 90 Degrees West, Rhythm Dance Company, Swamp Pop Sunday & the Foret Bash, and others. Chef creations at Boudin, Bourbon & Beer (Photo: Paul Broussard). Another newbie, the Cochon de Lait Festival debuts on October 21 with what promises to be a juicy menu. Local restaurants and catering companies including Jacques-Imo’s, Chef Linda the Ya-Ka-Mein Lady, and a food truck company called Food Drunk NOLA. Big Sam’s Funky Nation, Soul Rebels, and Daria and the Hip Drops. Crafts will also be on sale. There truly is a food festival for everything, including this year’s newcomer the NOLA Mac N Cheese Fest. Festival organizers plan to have up to fifteen restaurants– including the Big Cheezy and Melt– offer its own interpretation of macaroni and cheese as well as several other food options. Food and drink tickets are also on sale in advance. Live entertainment will run throughout and includes George Porter, Jr. and the Runnin’ Pardners, Grayson Capps, and John Boutte. Where: Oak Street at S. Carrollton Ave. 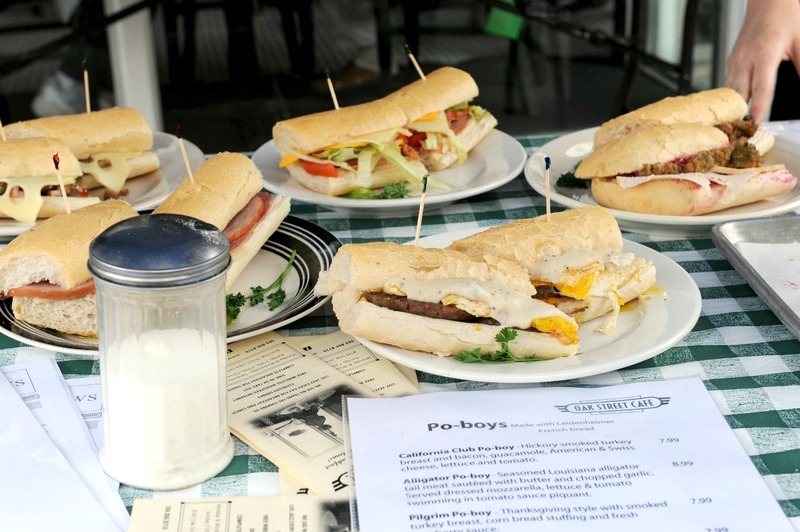 The poor boy sandwich– or as many New Orleanians call it, the “po-boy”– originated from a 1929 streetcar strike. Today, the sandwich is a community comfort food. The Oak Street Po-Boy Festival features dozens of food vendors with po-boys ranging from the tried and true fried shrimp po-boy, to cochon de lait, oyster, and many more. This year’s food vendors have not yet been announced, however may include the likes of Boucherie, Crabby Jack’s, Jacques-Imo’s, Parkway Bakery, and more. Come hungry. Live music will also take place across several stages. 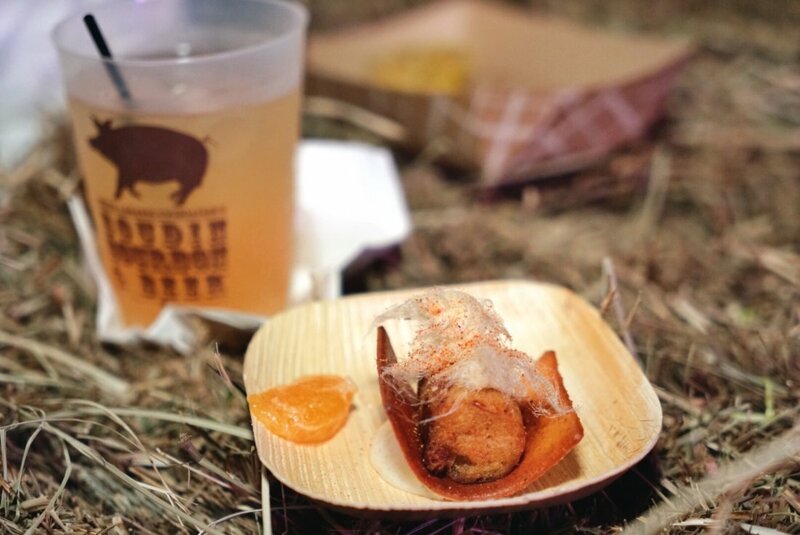 The Emeril Lagasse Foundation’s Boudin, Bourbon, & Beer festival is one of the more exclusive of the fall festival line-up, though the steep ticket price includes both food and drink. Dozens of local chefs– from the likes of Toup’s Meatery, Boucherie, Square Root, Commander’s Palace, Primitivo, and Compère Lapin– all feature their uniquely prepared versions of boudin. Wash down all that boudin with an Abita beer or Buffalo Trace Bourbon, straight or prepared as a cocktail. Live music will round out the evening. 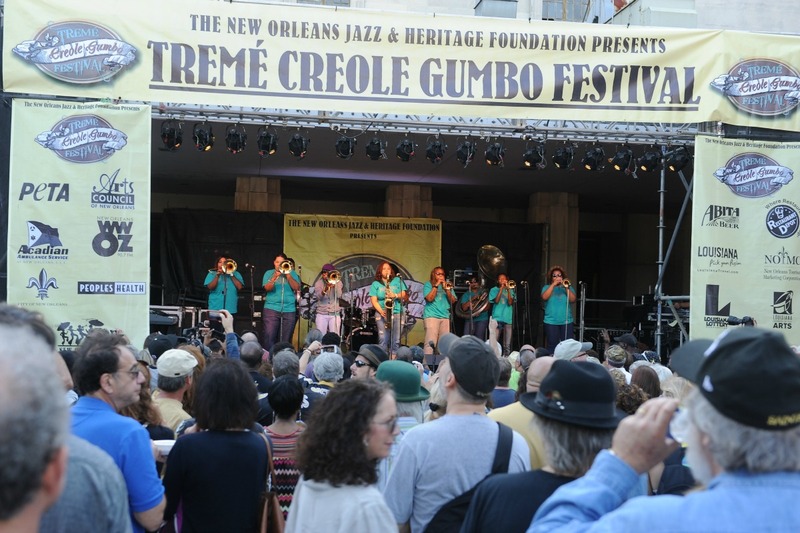 The ninth annual Tremé Creole Gumbo Festival presents two of New Orleans’ favorite things: gumbo and brass bands. Gumbo will be on sale from a dozen different vendors, each presenting their own interpretation of the classic dish. Gumbo Ya Ya (chicken and andouille) gumbo z’herbes, seafood gumbo, and even gluten-free and vegan options will be available. Brass bands, including the Grammy award-winning Rebirth Brass Band, Hot 8, New Breed, and more will perform. An arts market and kids section are also part of the festival.